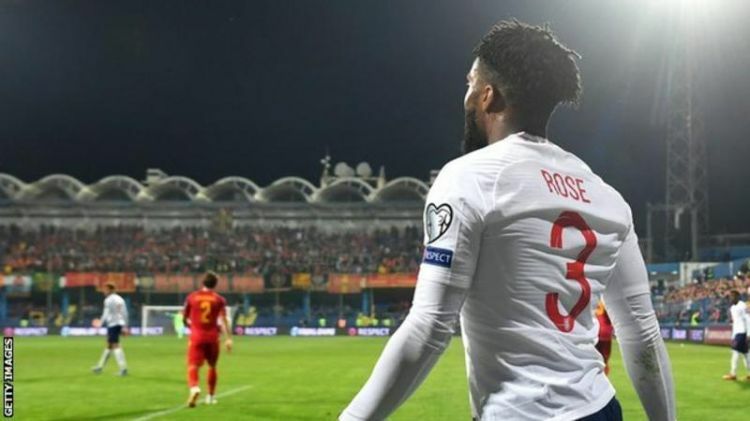 Uefa has charged Montenegro with racist behavior but Rose, 28, does not expect a significant punishment. The minimum punishment is a partial stadium closure, while a second offense results in one match being played behind closed doors and a fine of 50,000 euros (£42,500). Montenegro coach Ljubisa Tumbakovic said he did not "hear or notice any" racist abuse, but England manager Gareth Southgate said, "there's no doubt in my mind it happened - it's unacceptable".